Egg White Powder is high biological value protein that's lactose and dairy free. The whites contain most of the protein in the egg, with no fat or cholesterol. They also typically contain less calories than other protein sources. Egg white powder is made by made by separating whites from yolks and drying them into a powder. The powder is then pasteurised so it's safe to drink from salmonella and the avidin protein. This process is done at a high heat which is beneficial also as it has been shown to increase digestibility of egg protein. With the water removed 1kg of egg white powder contains the whites from about 260 medium sized eggs, meaning this product is very economical. Egg white protein is highly digestible. It digests slower than whey but faster than casein. It sits somewhere in the middle and provides a time released protein supply, so could be a good shake to have after a workout or during the day. Egg white powder has a protein level of around 80%, which is similar to whey, casein and pea - but not all proteins are created equal. Egg white protein contains all 21 amino acids required to support essential metabolic function, making it a good source of protein to assist muscle repair and development. It contains all nine essential amino acids and branched chain amino acids that the body cannot produce and must be supplied from the foods we consume. Egg white is high in branched chain amino acids (BCAAs), containing more than 19 grams per 100 grams. 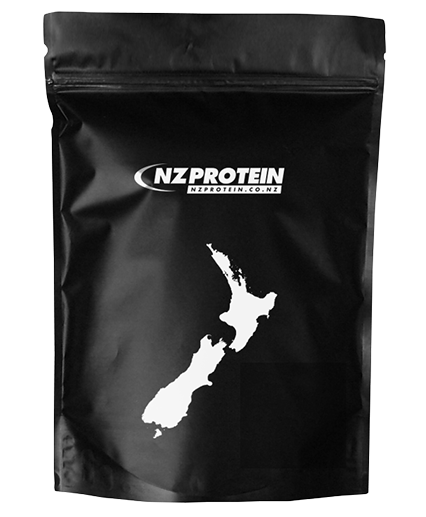 It's high in L-Leucine too, containing over 9 grams per 100 grams which is higher than whey. Leucine is one of three BCAAs and is primarily involved in muscle protein synthesis for muscle growth and recovery. It also contributes to the regulation of blood-sugar levels, growth hormone production and wound healing. 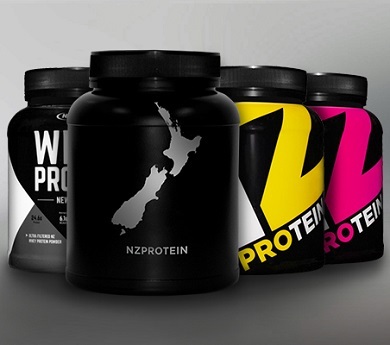 Biological value is a measure of how much ingested protein is actually used by the body. Egg protein scores 100 on this scale. In fact, egg protein is so bioavailable that it represents the BV against which all other foods are compared. The Protein Digestibility-Corrected Amino Acid Score (PDCAAS) measures the ‘completeness’ a protein, where a value of 1.00 on the scale is the highest measure. Not surprisingly egg protein scores the highest 1.00 which is the same as milk based proteins and higher than beef and non-animal protein sources. 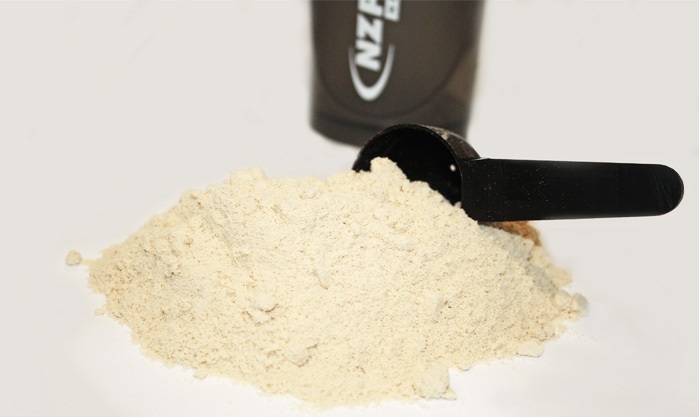 Protein digestibility is a measure of the proportion of protein that is absorbed by the body. Egg white protein scores 97% on this scale. Flavoured egg white mixes better in a protein shake than natural but it is recommended to add liquid before the powder in a shaker. Vanilla mixes with virtually no foam/lumps if shaken well and left to settle for a minute. We have samples of our flavoured egg white here. Unflavoured tastes like natural egg whites but it is easy to overcome this when made into a smoothie with fruit etc. 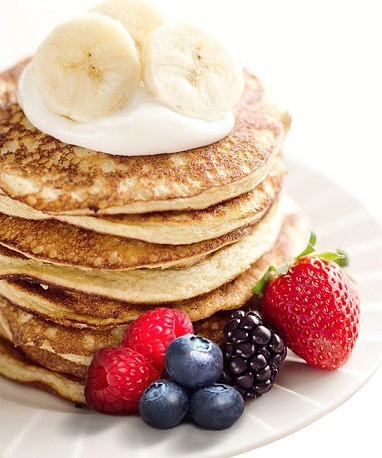 Egg white is often used to make protein pancakes and there are a heap of recipes that can be found online for these. You could make some yourself, or you could try our pancake mix - which is already mixed and just needs water. 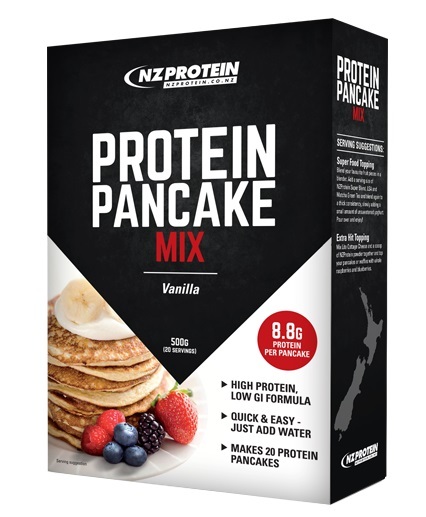 Our pancake mix has egg white protein it and also casein, oats, coconut flour, and other key ingredients designed to make the best pancakes. Eggs are generally well tolerated and allergies seem to mostly affect children under five years old, who grow out of them. However, those with allergies to eggs should avoid this product. 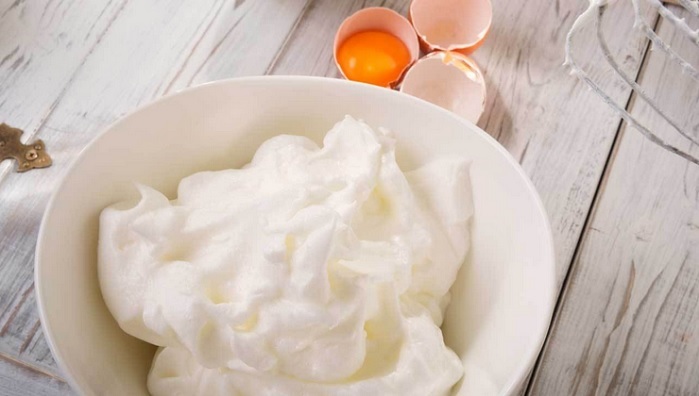 Raw egg whites contain the protein avidin, which can bind to biotin and stop its absorption when consumed in large quantities. Egg white powder is pasteurised, rendering avidin inactivate. Egg white protein is a very good source of digestible protein and is virtually fat free. It has a powerful amino acid profile that's suited to muscle development. Egg white is the best replacement to have if avoiding whey or as a shake during the day to provide a slower release of amino acids. *Please note that while every care is taken, this product is processed in a facility that also handles milk, soy, nut, and gluten ingredients. Rated 4.38/5 Based on 8 customer reviews. This would be perfect if the egg whites could be sourced from free range chickens! Tastes alright (vanilla) but its way too foamy. I know that just how eggs are but itd be nice if you could somehow minimize the foamyness. Fantastic product , great value , taste and mixes well. Service is always fast, the product is great and the prices are unbeatable! V.good value, not frothy, is my new favourite. I can mix in a shaker ok.
Gourmet Vanilla: seriously delicious, mixes well and value for money. I'm in love!!! Hands down makes the BEST protein shakes and protein mousse dessert ever. Ingredients: Egg Albumen, Emulsifier (Sunflower Lecithin), Flavour, Sweetener (Sucralose).